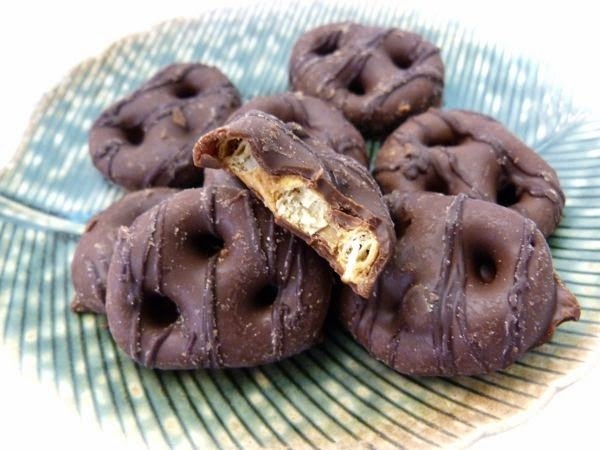 Happily there are many tasty gluten-free pretzel options these days, even some with chocolate. 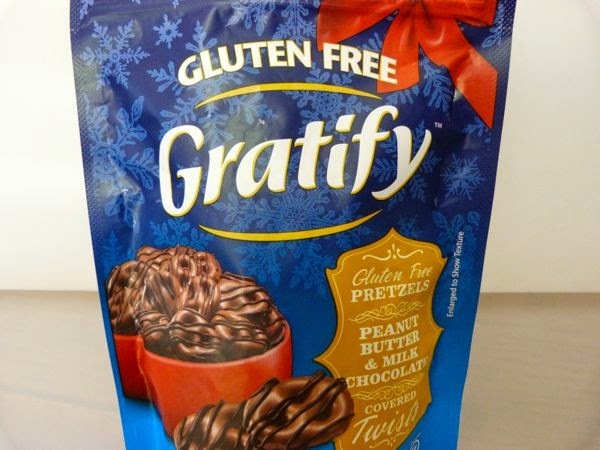 The line of Gratify Gluten Free pretzels, distributed by Osem USA, Inc. (Englewood, NJ) includes several pretzel + chocolate options (some seasonal) -- and, at least one with peanut butter as well. This morning, I enjoyed a handful of Gratify Gluten Free Peanut Butter and Milk Chocolate Covered Twists. These pretzels hit all the snack receptor buttons - rich, crunchy, creamy, sweet, savory/salty...etc. And one serving size (7 pieces) was just the right amount.